Trooper Bernard Skeeters was killed when his patrol car was struck from behind by a tractor trailer on I-55. car was forced into the IDOT paint truck which was carrying flammable paints and thinners. Both the squad car and paint truck exploded and were engulfed in flames. The three-vehicle accident instantly killed Trooper Skeeters. The drivers of both the IDOT truck and the semi-trailer survived the accident. The semi-trailer driver was charged with reckless homicide. However, a jury could not reach a unanimous decision to convict him. 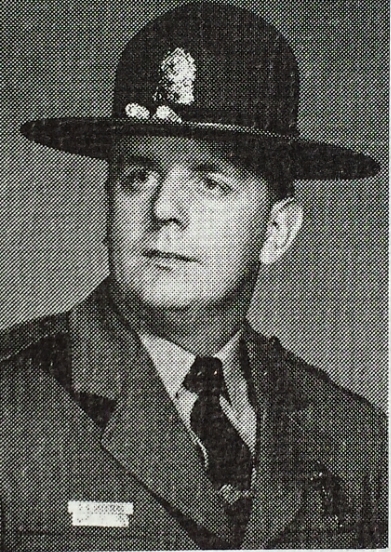 Trooper Bernard Skeeters was a U.S Army veteran of the Vietnam war and was a 12-year veteran of the Illinois State Police; He was assigned to District 9 in Springfield. Trooper Skeeters was survived by his wife and three sons. Today is the 34th anniversary of your death. You lived in my district, you will be missed.